How Will You Pay Your Health Plan Deductible When They Want Money Up Front? High deductible health insurance saves you money on your monthly premium cost. We all know this is true. However, when you actually need serious medical care and the doctor, hospital or outpatient surgery center demands payment or a payment guarantee from you for your part of the cost—BEFORE they will provide treatment—what will you do? If a hospital administrator shows up alongside your hospital bed outside the operating room and demands payment of your deductible before they perform surgery, are you ready for this? It DOES happen…keep reading! At Pivot Health, our supplemental health insurance can fill in the gaps to keep you protected from high deductible expenses. In addition, you can assign the benefits of your Pivot Health supplemental health insurance plan to the doctor, hospital or other facility. As part of your financial planning, being aware of how you would pay for high deductible costs is an important factor in feeling protected and secure in the future for you and your family. These days, just having health insurance coverage is not enough. 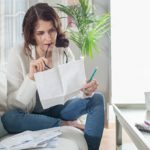 You need to know and consider how much you will be required to pay in specific high-cost instances and how you will pay those bills. 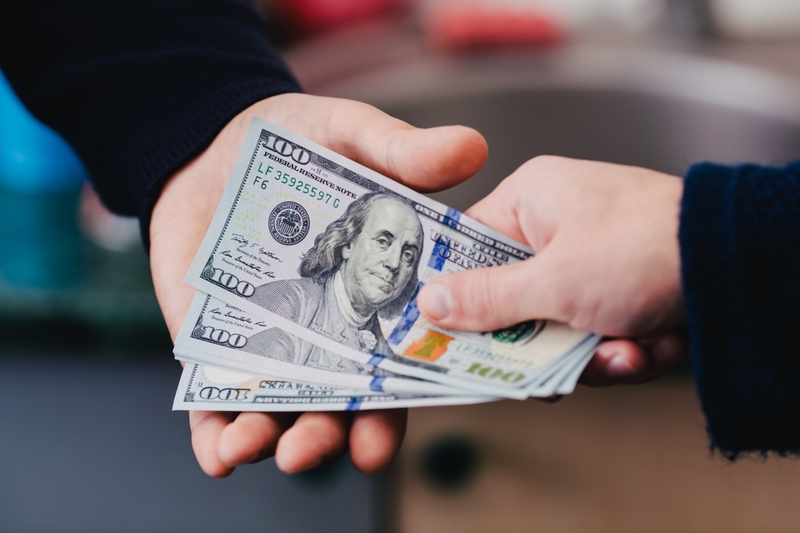 If a medical provider, in effect, says, “Show me the money,” before providing treatment, you need to have an answer so that needed care is not delayed and the provider does not refuse to provide the care. In this post, we explore this growing concern about paying for costs within your high deductible and how Pivot Health’s supplemental health insurance can be the solution for this issue for you and your family. A supplemental health insurance plan can help cover the gaps in your high deductible health insurance. Supplemental health insurance pays benefits for sickness and accidents that will coordinate with your major medical plan or pay IN ADDITION TO any other coverage you have—to help fill the deductible and other out-of-pocket gaps in your coverage. When you have supplemental health insurance coverage, you can feel assured of more complete financial protection. In addition, you may be able to switch to a higher deductible health plan, since you have a safety net of supplemental protection. That means you could save on your monthly insurance premiums, with a lower-cost higher deductible health insurance plan. Pivot Health’s supplemental health insurance product, Latitude, is especially beneficial to individuals and families seeking to have more complete coverage and peace of mind. However, Pivot Health’s supplemental health insurance plan also allows you to assign your insurance benefits. This means you can have the benefit payments sent directly to the doctor, hospital or other facility that provides you care. It is easy to do: When you receive medical care, you simply sign the assignment portion of the payment/disclosure statement that the doctor or facility presents to you. Then, the medical provider files the claim and is paid the applicable benefits directly from the insurance company. In this way, the doctor or facility has a more secure arrangement for payment of their services. When you have a high deductible health insurance plan and no supplemental coverage for protection, you can feel under pressure to come up with the deductible amount. This generally happens when you or a covered member of your family has a serious illness or accident. That is exactly the time when you do not want to spend your time worrying about the money part of treatment and recovery. You may feel pressured to take action you ordinarily would not, such as using a credit card with a high interest rate to pay for your part of the cost. Medical providers also are feeling pressure. With more of their patients having high deductible insurance, the administrators of doctors’ offices and medical facilities know that they are counting on you to pay a larger chunk of the cost of your care. A study by The Advisory Board Company, a best practices firm that uses research and technology to help health care organizations improve their performance, reported that as the deductible increases, the patient is less likely to pay any portion of his or her obligation for the cost. In its analysis of 400,000 actual patient claims, these statistics were consistent no matter what the patient’s income level was. The statistics above and the increasing bad debt for medical costs are causing more doctors and facilities to ask for or demand up-front payments before they provide significant medical care. For non-emergency care—and even marginally urgent care—some medical providers are now requesting payment prior to care, even in some cases while patients are on gurneys outside operating rooms. Today, 60 to 70 percent of hospitals have implemented pre-service collections, according to executive director and general manager of The Advisory Board’s Revenue Cycle Solutions. About 5 to 10 years ago, only a small number of hospitals were using this process. 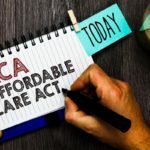 Whether you have health insurance through your employer or you purchase individual health insurance on or off the Affordable Care Act (ACA) exchange, high deductibles are a fact of life now. And, that’s not likely to change, at least for the near future. The PwC’s 2016 Health & Well-being Touchstone survey showed that the era of high health deductibles is here and increasing in usage. The organization reported on a survey conducted in early 2016 of over 1,100 employers in a wide variety of industries. Employers in 37 different industry sectors were included, from agribusiness through transportation and logistics. 25 percent of companies surveyed are already using full replacement high deductible health plans (HDHPs). Full replacement means that HDHPs are the only health plans offered. 72 percent of all employers surveyed offer an HDHP. Enrollment by employees in HDHPs nearly doubled to 32 percent in 2016, from only 17 percent in 2012. These statistics clearly show that more employees and families covered by health insurance through their work are dealing with high deductibles. They are choosing high deductibles either to save money on their premiums or because the high deductible is the only plan offered to them. The cost to employees for a high deductible plan can be significantly less than the cost of a traditional preferred provider organization (PPO) plan, depending on how much of the premium savings is passed on to the employee by the employer. On Exchange: As the number of insurance plans has decreased on the exchange, so has the choice of deductibles. In addition, in order to keep the cost increases from becoming even higher, insurance companies have increased the deductibles on many plans to be at or near the out-of-pocket maximums that are set by the federal government. The government has increased the out-of-pocket maximums each year since Obamacare began. Off Exchange: In most cases, you have a greater choice of deductibles off the exchange, because the insurance companies offer a greater variety of plans and benefit structures. However, the trend is still for higher deductibles, and many are selecting higher deductibles because they offer lower premium costs. If you use a credit card to pay for your deductible amount, you’re going to be on a payment and interest cycle that may cost you much more than your actual deductible amount. If you are not able to pay off the credit card charge within a few months, you could be facing added interest charges of hundreds of dollars, if you extend the payments for a significant length of time. And, if you miss a payment, there is usually a penalty fee, and often your interest rate is increased due to the late payment. So, what may initially have been a $2,500 charge could end up costing you $3,000, $4,000 or more over the course of many months and years. Borrowing from Family or Friends? 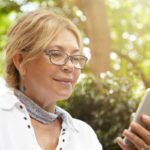 Although relying on family and friends may seem like a good alternative at the moment, the repercussions can be serious and difficult to overcome. If you are able to quickly repay your debt, it will probably not affect your friendship or family relationships. However, if you are in a position to need to borrow from family or friends, it is highly possible that you also will have difficulty repaying them. This can mean that every family gathering and every social event with your friends can be awkward and eventually potentially hostile. High deductibles have made supplemental health insurance even more necessary and valuable to more individuals and families. Some people refer to these types of insurance plans as “insurance for your high deductible health insurance.” With a Pivot Health supplemental insurance plan, you can have the peace of mind of knowing that in the case of a serious illness or accident, you will not be in the vulnerable position of having to “show the money” before you receive medical care. With careful financial planning that includes providing for these types of situations, you will be in a position to focus your time and attention on obtaining the appropriate medical care and emphasizing recovery for you or your family member patient. Pivot Health’s programs help you handle the future today.